We want to help you live better! One way we can help is to share these cleaning hacks that don't actually work. The internet is filled with hacks and tips that lure us in with visions of better and effortless cleaning. Who thinks of these things and why haven't we seen them sooner? Some are based on a bit of science, but most are not. Here are seven cleaning hacks that don't work and will just waste your time and money. Some are even flat out dangerous! Skip 'em and follow the saner advice that will give you a much cleaner and safer outcome. Like many hacks, this one is based on a bit of science. Yes, high heat can kill some bacteria. However, the length of time needed in a microwave to reach the desired temperature to kill all the bacteria lurking in the center of a sponge will result in a flaming, incinerated sponge. New studies show that nuked sponges still harbor about 40% of their bacteria, some of which can be life-threatening. A better choice is to use disposable wipes or cotton or microfiber cloths that can be tossed in the washer after every use. Skip putting salt in the washer. By the time clothes get into stores for you to buy, it's too late to stop dye bleeding. That process has to be done while the fabric is being manufactured. Fortunately, if all of your underwear is now pink, there are some useful tips that might just save the day. Remove the non-colourfast item and pick out the garments that need to be fixed. This should be easy enough to do. Compare the load to another white cloth, to determine which clothes have been affected by the colour-bleed. Re-wash the stained garments in the washing machine with one cup of non-chlorine bleach, in addition to the standard detergent dosage. When handling bleach make sure that you wear protective gloves and follow all guidelines listed on the product. Run a full cycle with as much agitation as possible. You can also use one cup of white distilled vinegar instead of the bleach. If the colour-bleed remains, repeat Step 2. If the stain is still there, soak the stained garments for eight hours in a solution of oxygen-based bleach and cool water. If the stain persists, repeat Step 3 and launder again in a washing machine. Do not tumble-dry any garments until the colour bleed has been removed. Yes, those little white erasers are magic at removing soap scum on bathtubs and crayon marks on walls. But they do nothing in your toilet tank to clean your toilet and may even mess up the flushing mechanisms. The scrubbers are made of melamine foam and need your elbow action to work. They don't dissolve and contain no bacteria killing or dirt-lifting components. Hot water can kill some bacteria, but it has to be really hot (100 degrees Celsius) and the contaminated surface must be exposed for several minutes. Since most hot water heaters aren't set that hot, you're fooling yourself about expecting hot water alone to kill germs. 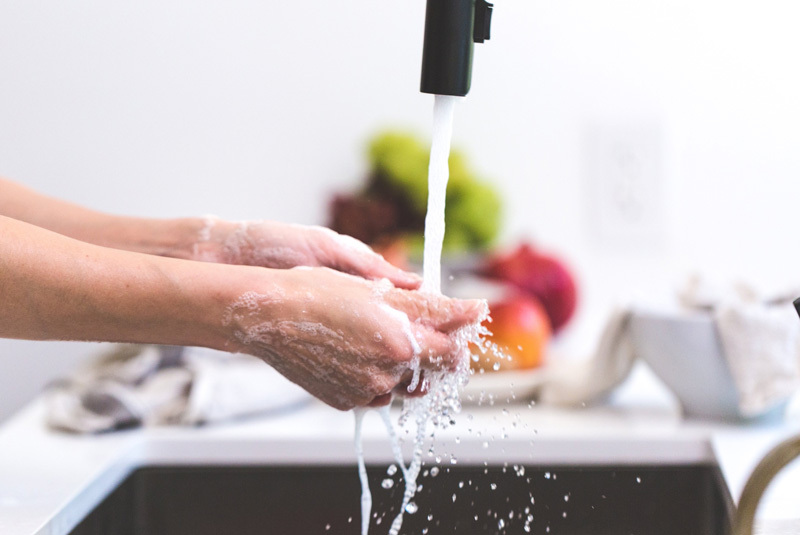 After the flu sweeps through your home or you prepare raw meats in the kitchen, add a disinfectant like chlorine bleach, pine oil, or phenolic solutions (Lysol) to your cleaning routine.